Australia’s commercial airports are integral to connecting the general public and commercial sectors with the global communities and markets. Without access to flights the general public would not have a viable solution to allow them to travel to see friends or loved ones world-wide, as well as experience different countries and cultures for personal growth. The airports are also crucial in facilitating the transport of commercial products both interstate and internationally, to strengthen the economy both nationally and globally. Not only are Australia’s commercial airports a valuable mode of transport for the general public and commercial sectors, the airports also create a wide range of job opportunities, such as airport operations, air traffic control, freight handling, air safety and passenger handling. 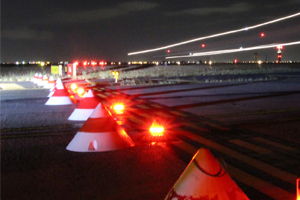 When civil construction is being undertaken in the taxiway or apron areas of commercial airports around the world, powered lighting have to be decommissioned during stages of the construction process, resulting in the need for temporary lighting. 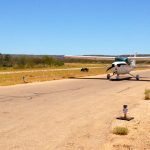 In conjunction with this, lighting is also required when infrastructure at these airports become old and no longer operational or when lights are required to close off portions of an airfield where civil works are in progress or no longer in use. Temporary lighting solutions are necessary when powered lighting is no longer available. The temporary lighting can be installed short-term or long-term depending on the need. 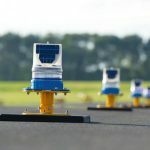 In both taxiway and barricade lighting applications these light fixtures help to maintain maximum airside operations and aircraft movements across taxiways and aprons and are a crucial aid to the airports that have relied upon them. 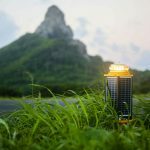 Solar powered LED lighting was determined to be the most economical and functional solution to this problem, as it is a self-reliant source of temporary lighting. 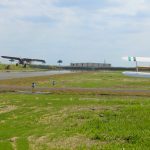 Avlite AV70 Taxiway Edge Blue and Barricade Red solar LED aviation lights were chosen for the task, as these are completely self-contained LED lights with a high performance of reliable operation in a range of environmental conditions and low maintenance. 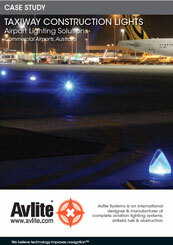 Both lights have been successfully installed for temporary lighting in aviation for many years, with Avlite being a trusted and reliable brand in solar LED lighting for civil and industrial applications. The installation process for this type of lighting is also a simple and easy process, making it a popular choice. 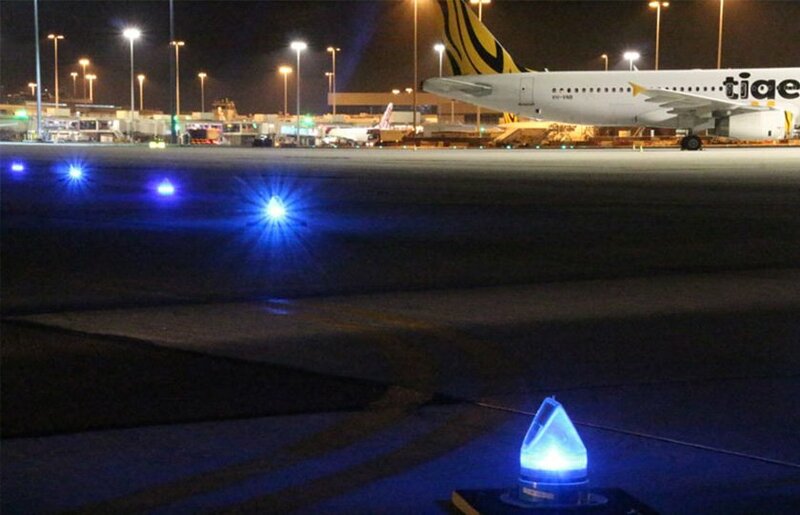 Over the past three years alone, more than 1000 units of Avlite AV70 Taxiway Edge Blue and Barricade Red solar aviation lights have been installed in Australia’s major commercial airports to replace battery powered lighting for civil construction and maintenance projects. Installation of these lights is an ongoing project as they offer enormous benefits to the owner/operator over non-solar products. Feedback for the solar aviation lights has been positive so far, with the lights performing optimally night after night. The labour costs and maintenance have also been reduced, making it a successful solution to the lighting issue. Avlite also offer RF radio control function for the AV70 series, allowing lights to be controlled remotely via air-traffic control in conjunction with the powered airfield lighting system.